In 2011, after selling off the infamous exchange Mt. Gox, Jed McCaleb turned his cryptocurrency efforts to devising a new currency. Dubbed ‘the ripple protocol,’ McCaleb sought to grow a transactionary cryptocurrency that completed blockchain consensus by members on the network. With that, the parent company Ripple was formed, which led to the creation of the token XRP. However, McCaleb’s run with Ripple was short lived, and in 2013 he left his active role with the company in search of new ventures. In 2014, using what he had learned through the development process of Ripple, McCaleb started the non-profit Stellar Development Foundation, which eventually led to the creation of the Stellar Consensus Protocol and XLM currency. SatoshiPay – With the market prices acting like a living roller-coaster, the cryptoverse community turns to the latest infrastructure development and news on collaborations. For some days now, Stellar Lumen (XLM) has been receiving exclusively intriguing news, here comes another information that Stellar’s partner, SatoshiPay, is getting ready for Initial Public Offering (IPO) on AIM, a sub-market of the London Stock Exchange. The London based company that processes micropayment transactions, aired that it decided to get listed on AIM in a bid to improve the company’s growth and it is believed that the listing will help the company raise development capital. “This is a giant leap for SatoshiPay, and I am extremely proud that the startup I co-founded in 2014 has grown into a company that, with the support of an amazing team and fantastic investors, is now approaching a stock market float, the CEO of SatoshiPay, Meinhard Benn stated. IBM – Just a week ago, the tech giant IBM announced that it is working on its stablecoin. 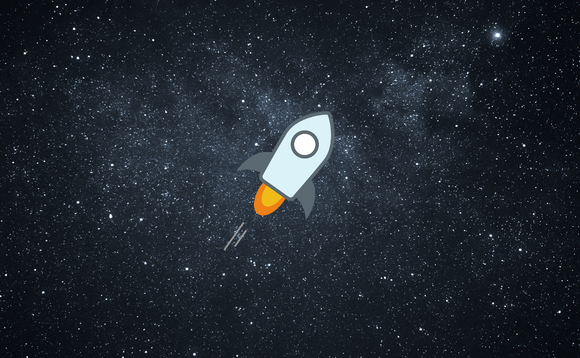 The coin will be supported by blockchain technology while running on Stellar’s platform. The event will surely hoist Stellar’s institutional adoption and credibility. “The introduction of Stronghold USD as an anchor on the Stellar network is a significant step forward for cryptocurrencies. This is because instead of Stellar trying to compete with chartered financial institutions, they were able to include them in a productive way that is beneficial to everyone. Already, this asset has usability on IBM’s blockchain applications, since an asset like Stronghold USD has the stability that is requisite for big-name players to make transactions on a blockchain platform. Since Ripple does the opposite of working around traditional financial institutions, this has limited its success. Adding the Stronghold USD asset to Stellar capitalizes on this weakness, and this will make some serious waves in the blockchain and fintech industries in the coming weeks, putting Stellar into the spotlight.” – President and COO of Global Blockchain Technologies Corporation, Shidan Gouran. TransferTo – The first row competitor against the blockchain firm Ripple and its token XRP, Stellar Lumens steps the cross-border transaction game up. TransferTo announced its partnership with Stellar to boost international money transfer. This way, send&receive in over 70 countries will be very completed very speedy and efficient. Coinbase – With Coinbase announcing that it will explore XLM and other coins as options to be listed, XRP followers are feeling quite left out. XLM continues in a bullish trend in the long-term outlook. The bullish momentum was high as just as the bulls returned at the 50.0 fib level kept pushing the cryptocurrency to a new high. $0.3520 in the supply area was attained as the predicted $0.3267 was broken. For the time being, the price is below the 23.6 Fib Ret level which showcases that bears are having their saying. Before the previous trend is able to continue, a pullback of that kind is required for the market correction. The stochastic oscillator is at 51 percent and its signal points up. This implies bullish pressure as price momentum is up. In general it is looking in the favor of breaking the $0.4000 target not so long ahead depending on the acting of the market leaders.